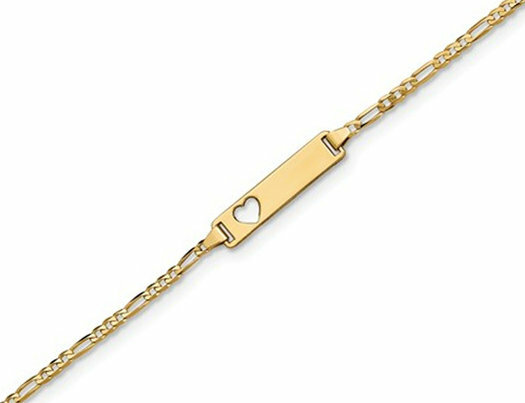 A precious gift for you or someone you love, this 7 inch bracelet of glowing 14 karat gold features a figaro chain. A central engraveable plate with a petite cut-out heart allows for a name or custom message. Perfect for everyday wear, this endearing accessory will make a splendid addition to any jewelry collection.